Bolting on a tow bar and hooking up a trailer doesn’t quite cut it, you think? 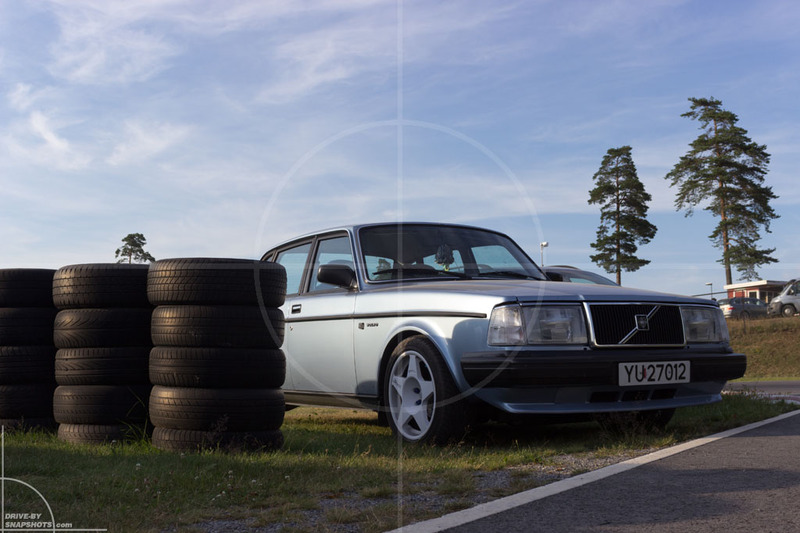 Well then, add a set of wheels from the R model. Still not exited? 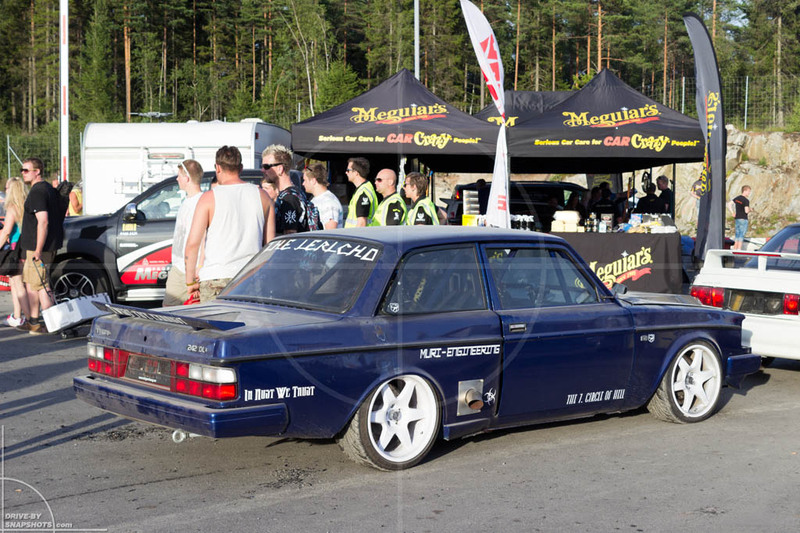 So how about bolting on a set of R wheels and a couple of auxiliary driving lights? This might be common in Scandinavia and nobody there might look twice. 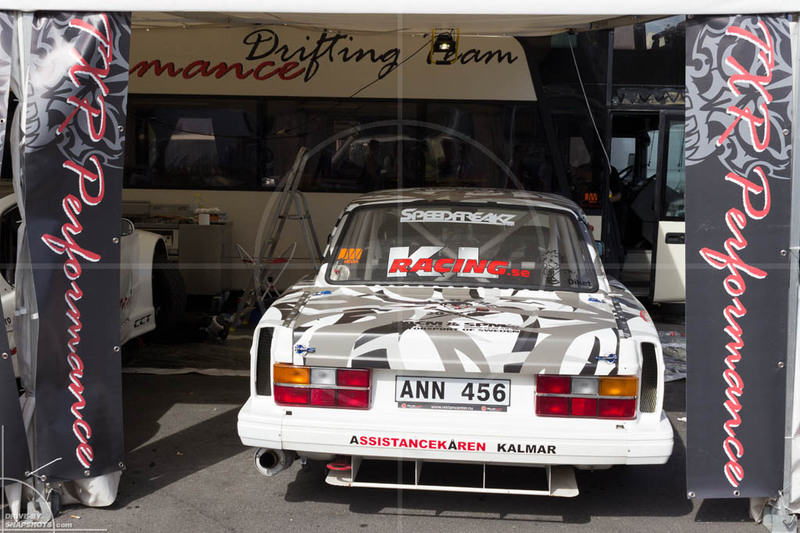 However, because you hardly ever see that in Germany… it definitely adds an interesting touch to the vehicle. A different approach is adding a set of white(!) 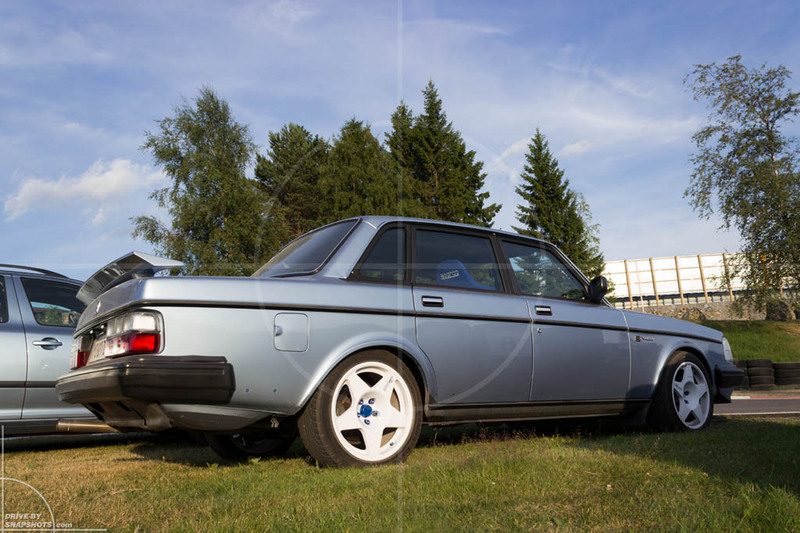 Compomotive wheels, lowering the car and swapping the stock seats for Sparco racing items. 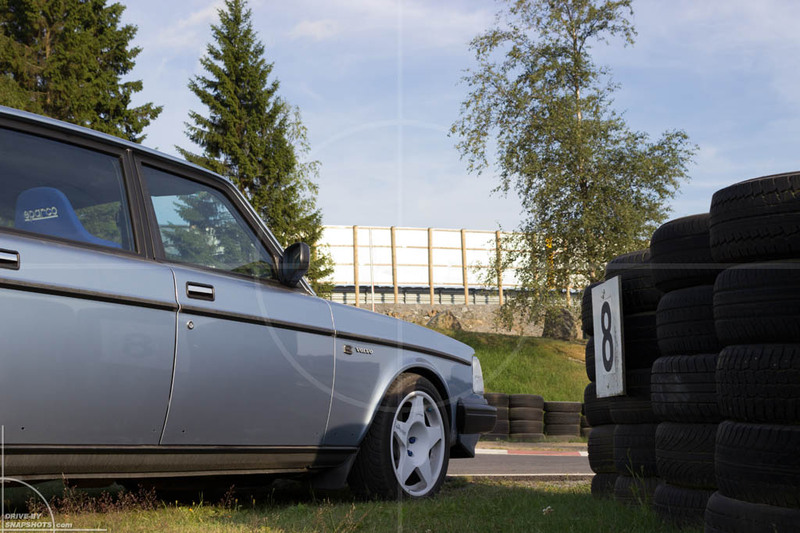 … and park your ride next to a stack of used tires lining the Rudskogen Motorsenter go-kart track. Is this a Voolvo then? I would say so. 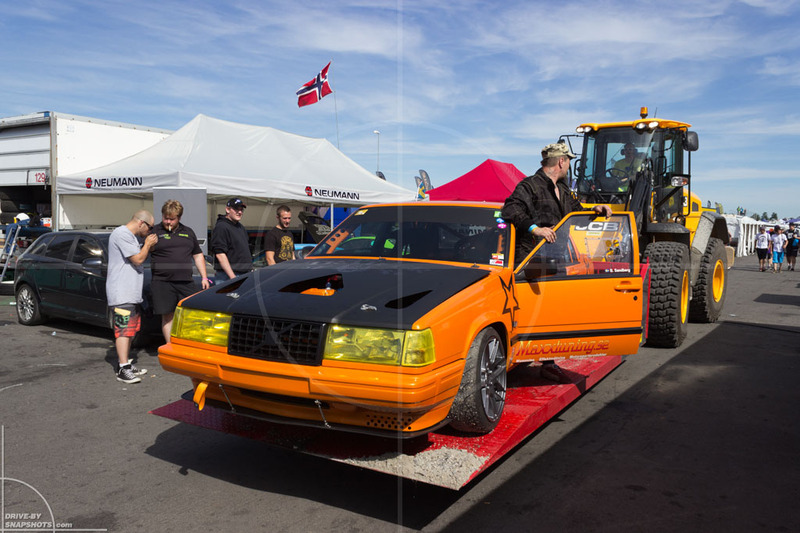 Comparing to other machinery found at Gatebil 2014, it represents a more subtle approach, though. You don’t fancy nice paint, but want to have plenty of power? 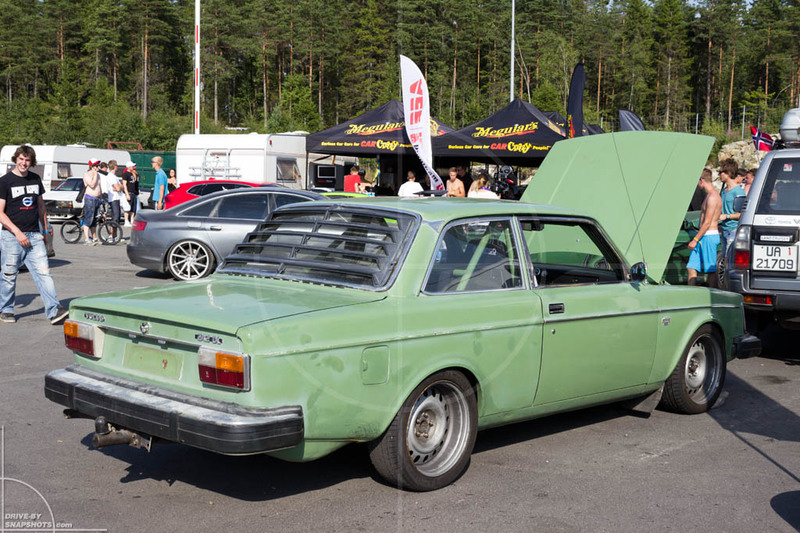 Well then, inject the soul of Bavarias’ finest and enjoy plenty of reliable power to flick your Swedish brick around the corners sideways. 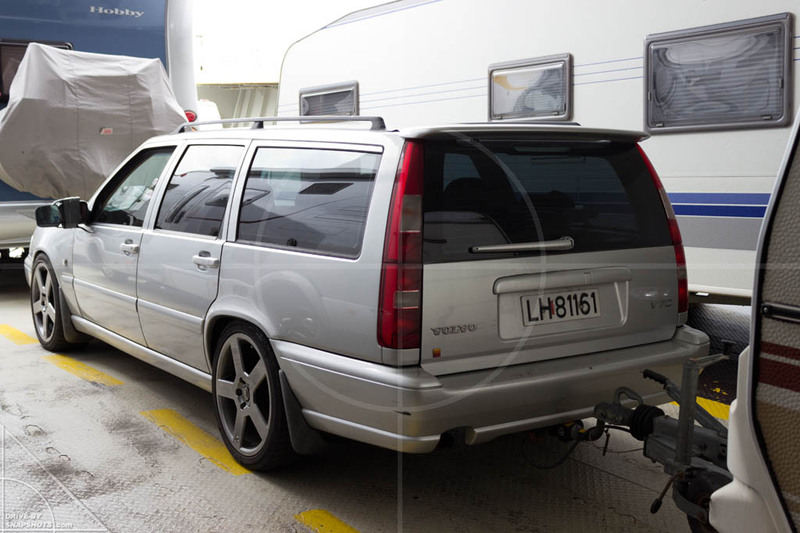 Stock Volvo bodies are too narrow for your taste? This can be fixed easily by riveting on a set of overfenders. Too easy you reckon? How about a custom made wide body kit then? Add military inspired camo wrapping and you’re in business. Or… mix all of the above, add a mighty Viper V10 engine and create a drift machine that goes like stink and looks great while doing it. 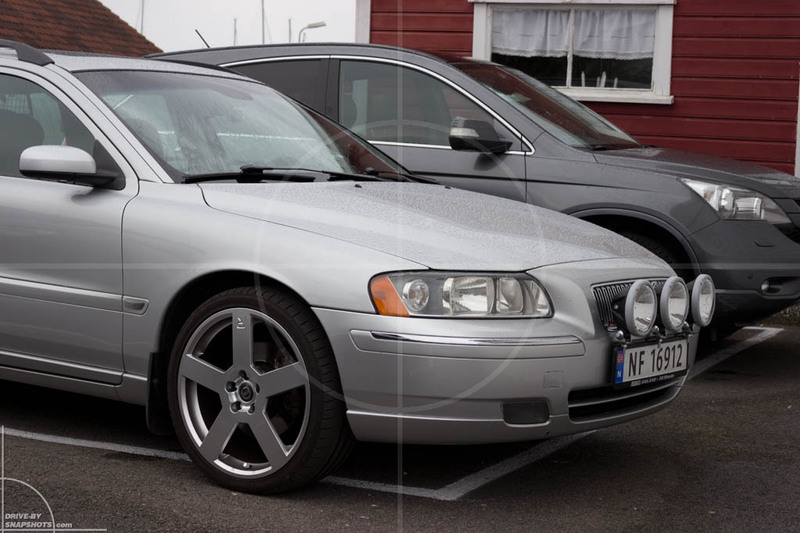 Is this a cool Volvo now? Nope. Not at all – because it’s damned hot!